These examples describe and illustrate computer imaging processes and algorithms. 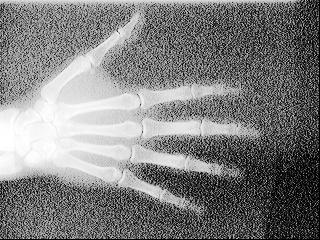 They are selected to be representative of the various techniques available in the computer imaging field. 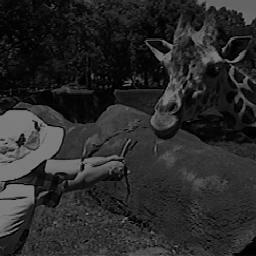 Edge/Line detection and edge linking - Kirsch, pyramid, Sobel, Prewitt, Roberts, Laplacian, Frei-Chen, Hough transform. Image segmentation - fuzzyc mean, histogram thresholding, median-cut, principal components transform/median cut, spherical coordinate transform/center split, gray level quantization, split and merge. Morphological filters - binary iterative morphology, gray-scale and color erosion, dilation, opening, and closing. Two-dimensional fast transforms - Fourier (FFT), cosine (DCT), Haar, Walsh, Hadamard, wavelet transforms. Frequency domain filters - highpass, lowpass, bandpass, bandreject, high frequency emphasis, and notch. Feature extraction - binary, RST-invariant, histogram, spectral and texture object features. Feature analysis - Range-Normalization, Unit Vector Normalization, Standard Normal Density Normalization, Min-Max Normalization, Softmax Scaling, Euclidian Distance, City Block or Absolute Value Metric, Maxium Value Metric, Minikowski Distance, Vector Inner Product, Tanimoto Metric. Pattern classification - nearest neighbor, K-nearest neighbor and nearest centroid. Spatial domain image restoration - order filters, mean filters, adaptive filters. Filters included: median, adaptive median, minimum, midpoint, maximum, alpha-trimmed mean, arithmetic, geometric, harmonic, contra-harmonic, Yp-mean, minimum-mean-square-error, adaptive contrast. Frequency domain image restoration filters - inverse, geometric mean, power spectrum equalization, constrained least squares, classic Wiener, parametric Wiener, practical Wiener. User specified degradation function and noise functions. 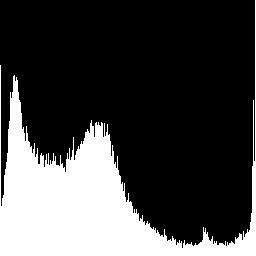 Noise functions - negative exponential, rayleigh, gaussian, gamma, salt and pepper noise functions. Geometry transformation - user specified mesh. Nearest neighbor, bilinear and average interpolation. Histogram-based image enhancement - histogram equalization, histogram slide, histogram shrink/stretch, local equalization, histogram hyperbolization, histogram specification, adaptive contrast filters (standard, logarithmic, exponential), gray-scale piecewise linear modification. 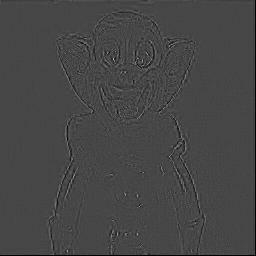 Pseudo-color enhancement - frequency domain mapping, gray level mapping, intensity slicing. Spatial and frequency domain image smoothing and sharpening. Image compression algorithms - bitplane run-length-coding, Huffman encoding, zonal coding, threshold coding, Ziv-Lempel, JPEG, differential predictive coding, block truncation coding, dynamic window-based run-length-coding, vector quantization, fractal, wavelet vector quantization. Support for common image formats - Sun Raster, IRIX, GIF, TIFF, JPEG, PPM, PGM, PBM, EPS, ITEX, and others. 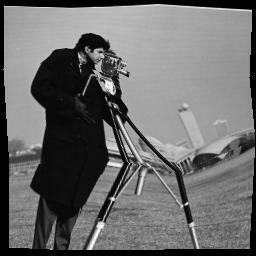 Image geometry operations - copy-paste, translate, resize, rotate, zoom. Utilities for arithmetic and logic operations, image file conversion, simple image creation, image enhancement, filters, signal-to-noise ratio, root-mean-square error, adding noise, color space conversion, image object labeling, creating and extracting bands from multi-band images, viewing phase-only images from FFT data, image statistics, halftone conversion (6 types). 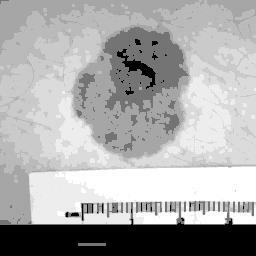 Image analysis involves manipulating the image data to determine exactly the information necessary to help solve a computer imaging problem. The image analysis process, can be divided into three primary stages: 1) Preprocessing, 2) Data Reduction and 3) Feature Analysis. It is used to remove noise and eliminate irrelevant, visually unnecessary information. 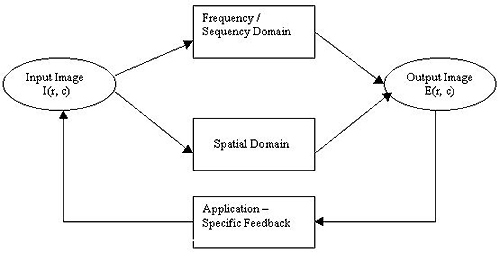 It involves either reducing the data in the spatial domain or transforming it into another domain called the frequency domain and then extracting features for the analysis process. In this the features extracted by the data reduction process are examined and evaluated for their use in the application. After the analysis we have a feedback loop that provides for an application-specific review of the analysis results. 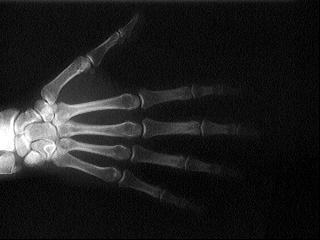 Image segmentation is used to find regions that represent objects or meaningful parts of objects. 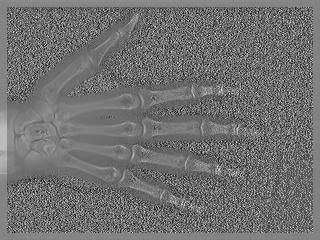 Image segmentation methods will look for objects that either have some measure of homogeneity within themselves or have some measures of contrast with objects on their border. Gray level morphology relates to the structure or form of objects in a gray-level image. Morphological filtering simplifies a segmented image to facilitate the search for objects of interest. This is done by smoothing out object outlines, filling small holes, eliminating small projections. The basic morphological operations are Dilation, Erosion, Opening and Closing. The Fourier transform uses sinusoidal functions as basis functions. 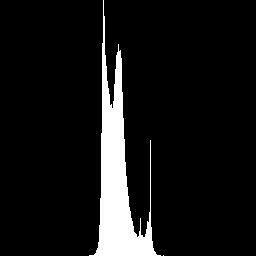 The magnitude of the fourier spectrum can be displayed as an image. Normaly the magnitude is log-remapped for display, otherwise all that is seen is the DC term. 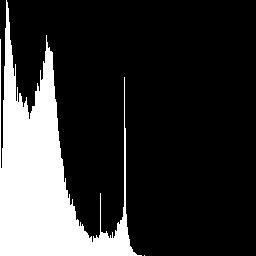 The Histogram of an image is a plot of the gray-level values versus the number of pixels at that value. 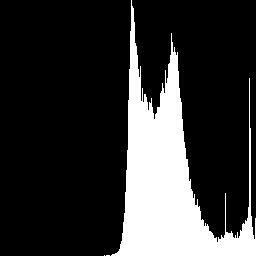 The shape of the histogram provides us with information about the nature of the image , or subimage if we are considering an object within image. Image restoration methods are used to improve the appearance of an image by application of a restoration process that uses a mathematical model for image degradation. 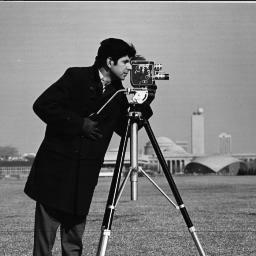 In this, degraded images and knowledge of the image creation process are provided as input to the development of the degradation model. 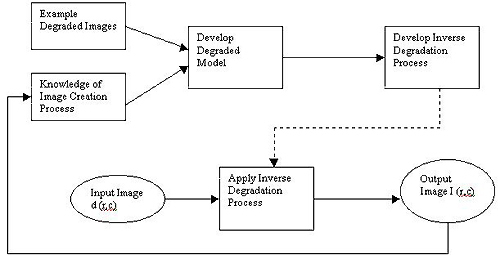 After the degradation process has been developed, the formulation of the inverse process follows. 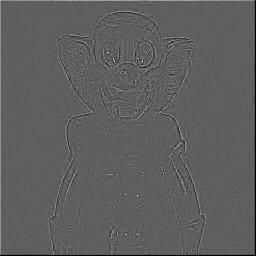 This inverse degradation process is then applied to the degraded image, d(r,c), which results in the output image I(r,c). 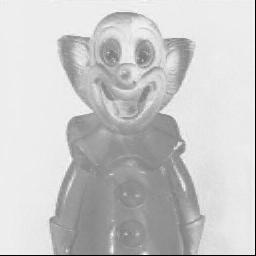 This output image I(r,c) is the restored image that represents an estimate of the original image I(r,c). An adaptive filter alters its basic behavior as the image is processed. 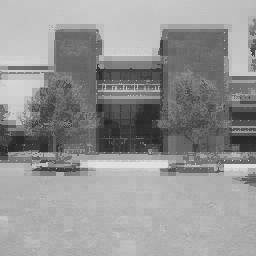 It may act like a mean filter on some parts of the image and as a median filter on other parts of the image. The minimum mean-square error (MMSE) filter is a good example of an adaptive filter, which exhibits varying behavior based on local image statistics.The MMSE filter works best with gaussian or uniform noise. Geometric transforms are used to modify the location of pixel values within an image, typically to correct images that have been spatially distorted. These methods are often referred to as rubber-sheet transforms because the image is modeled as a sheet of rubber and stretched and shrunk, or otherwise manipulated, as required to correct for any spatial distortion. It requires two steps 1) Spatial Transform and 2) Gray-Level Interpolation. Spatial transforms are used to map the input image location to a location in the output image; it defines how the pixel values in the output image are to be arranged. The method to restore a geometrically distorted image consists of three steps: 1) define quadrilaterals (four-sided polygons) with known or best-guessed tiepoints for the entire image, 2) find the equations R(r,c) and C(r,c) for each set of tiepoints, and 3) remap all the pixels within each quadrilateral subimage using the equations corresponding to those tiepoints. The simplest method of gray-level interpolation is the nearest neighbor method.Where the pixel is assigned the value of the closest pixel in the distorted image.This method does not necessarily provide optimal results but has the advantage of being easy to implement and computationally fast. 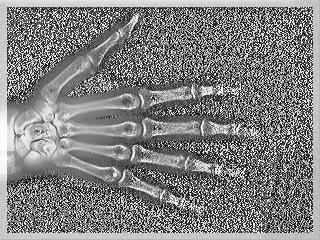 A mesh defined by 16 tiepoints will be used to first distort and then restore the image. The original image has been distorted using the bilinear interpolation method. Restoration by the nearest neighbor method shows the blocky effect that occurs at edges. 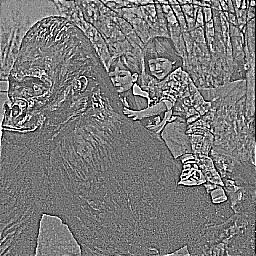 Restoration with neighborhood averaging interpolation provides smoother edges than with the nearest neighbor method, but it also blurs the image. 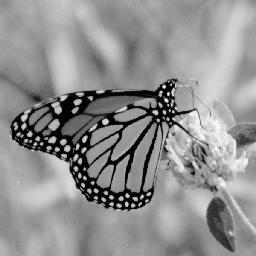 Restoration by bilinear interpolation provides optimal results. 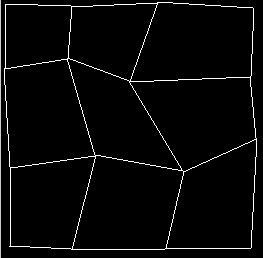 Note that some distortion occurs at the boundaries of the mesh quadrilaterals. 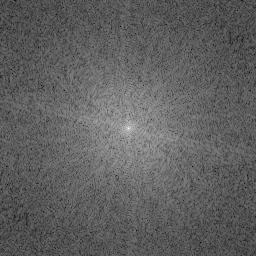 Here each pixel is modified according to a particular equation that is not dependent on other pixel values.  Here each pixel is modified according to the values of the pixel's neighbors. 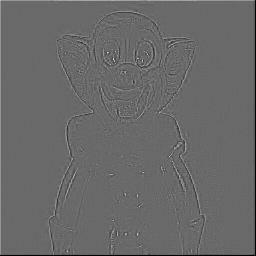 Here all the pixel values in the image ( or subimage) are taken into consideration. Adaptive contrast enhancement refers to modification of gray-level values within an image based on some criterion that adjusts its parameters as a local image characteristics change. The adaptive contrast enhancement filter is used with an image which has uneven contrast, where we want to adjust the contrast differently in different regions of the image. It works by using both local and global image statistics to determine regions of the image. Unsharp masking enhancement algorithm is representative of practical image sharpening methods. It combines many operations like filtering and histogram modifications. Image compression involves reducing the size of image data files, while retaining necessary information. The resulting file is called the compressed file and is used to reconstruct the image, resulting in the decompressed image. The compression system model consists of two parts: the Compressor and the Decompressor. It consists of a preprocessing stage and encoding stage. The first stage in preprocessing is data reduction. 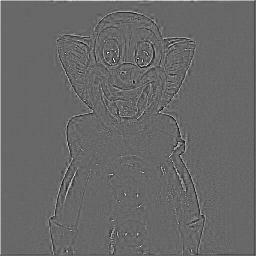 For example, the image data can be reduced by gray level and/or spatial quantization. The second step in preprocessing is the mapping process, which maps the original image data in to another mathematical space, where it is easier to compress the data. Next, as part of the encoding process, is the quantization stage, which takes the potentially continuous data from the mapping stage and puts it in discrete form. 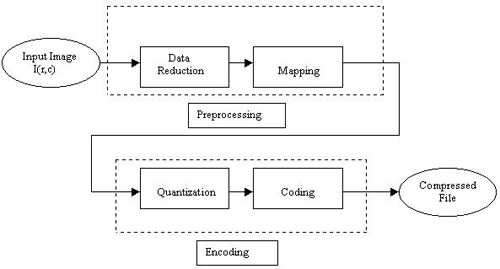 The final stage of encoding involves the coding the resulting data, which maps the discrete data from the quantizer onto a code in an optimal manner. 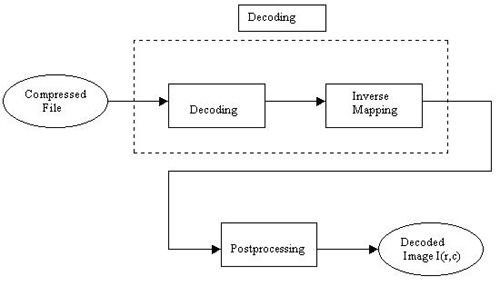 In this the decoding process is divided into two stages.First, it takes the compressed file and reverses the original coding by mapping the codes to the original, quantized values.Next, these values are processed by a stage that performs an inverse mapping to reverse the original mapping process. Finally, the image may be postprocessed to enhance the look of the final image. The Wavelet-based compression shows much promise for the next generation of image compression methods. Because wavelets localize information in both the spatial and frequency domains, we consider these to be hybrid methods. The wavelet transform combined with vector quantization has led to the development of compression algorithms with high compression ratios. Block truncation coding is a type of lossy compression which works by dividing the image into small subimages and then reducing the number of gray levels in each block. This reduction is performed by a quantizer that adapts to the local image statistics. The levels for quantizer are chosen to minimize a specified error criterion, and then all the pixel values within each block are mapped to quantized levels. 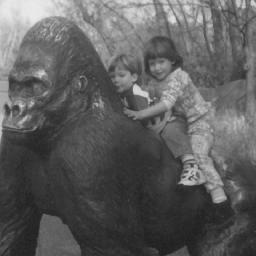 Original Image having 65536 bytes. Original Image having 65536 bytes. Compressed data occupies 8739 bytes. Compression ratio is 1:8. Original Image having 65536 bytes. Compressed data occupies 3142bytes. Compression ratio is 1:15.